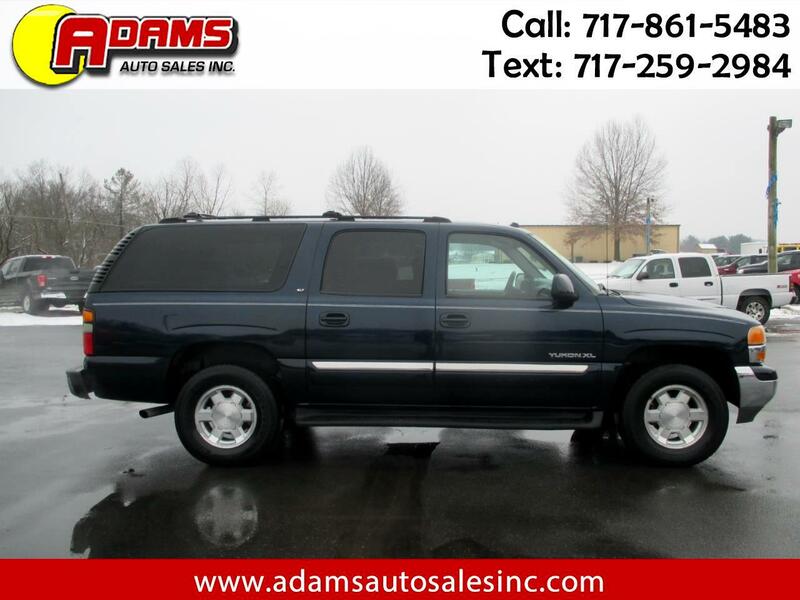 Used 2004 GMC Yukon XL 4dr 1500 4WD SLT for Sale in Lebanon PA 17046 Adams Auto Sales Inc. This beautiful blue 2004 GMC Yukon XL 1500 SLT 4X4 sport utility is a must see! It is equipped with a V8 5.3 liter engine and an automatic transmission. It has a sunroof, towing package and alloy wheels. It also has running boards, DVD system and power seat. It's quad seating and rear air conditioning are must haves. It has charcoal leather interior with heated seats. The third row seating gives you plenty of room for passengers. Well maintained both inside and out. A warranty can be purchased at an additional cost. Ask a salesman for more details. Inspection and emissions are good thru December of 2019. Free Carfax report is available. Hurry in and take it for a test drive today!